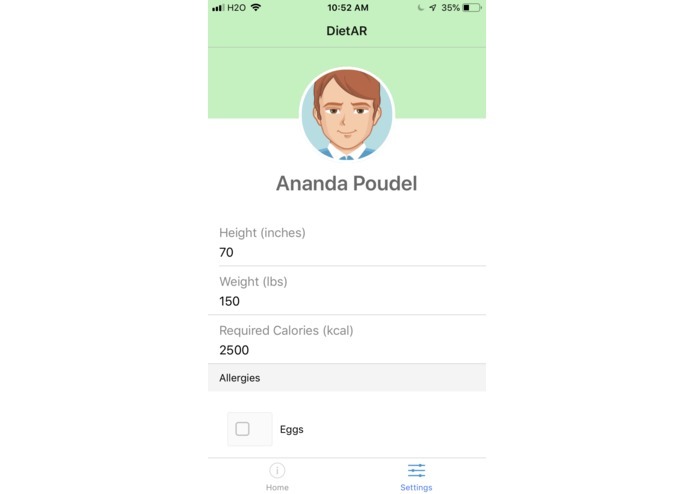 My dad has a shellfish allergy. He ate a dish once, that happened to have some very well-disguised crab. Riding with him to the hospital was the scariest thing that ever happened to me. 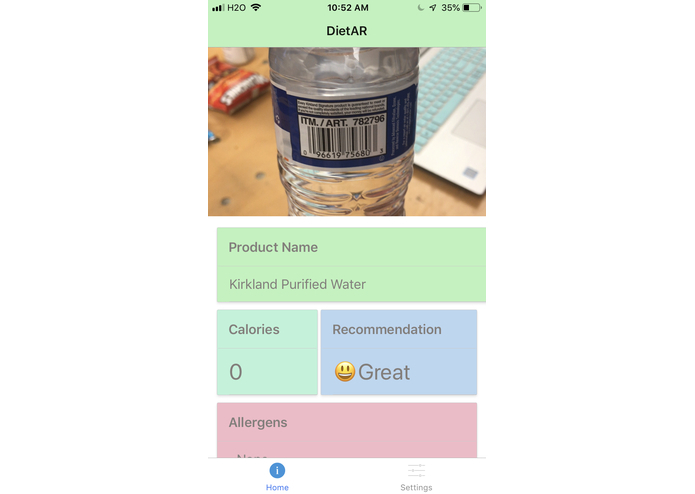 DietAR is a one-step app that displays nutritional and allergen information for prepackaged foods and restaurant dishes. 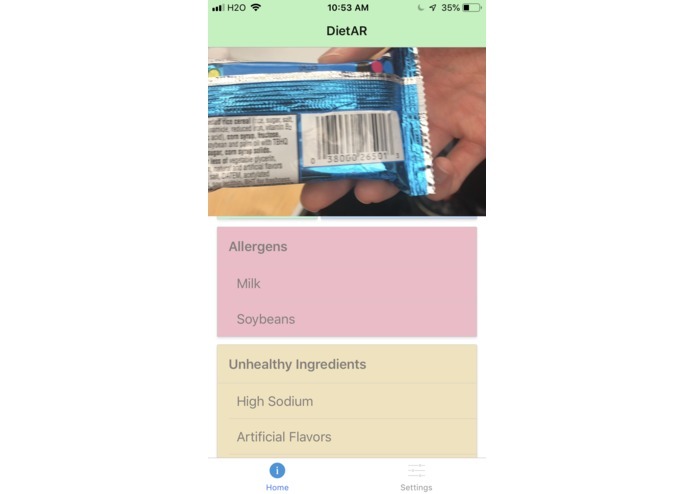 For the prepackaged food, we scanned the universal product code and pulled nutritional and allergen information from a variety of databases. 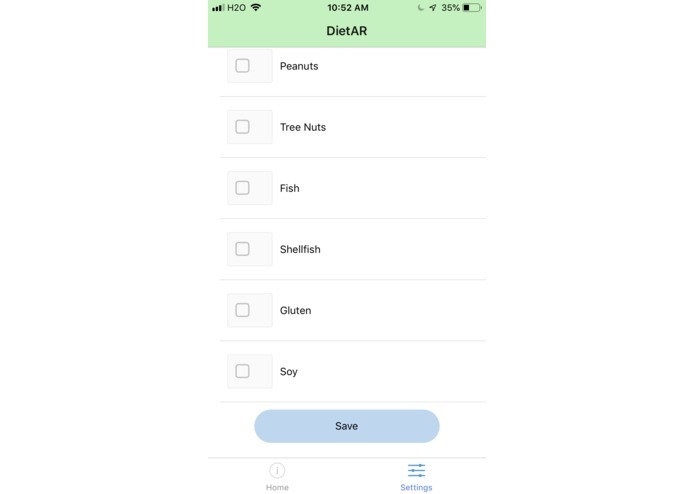 For the restaurant dishes, we used Clarifi's api to scan a dish and list its ingredients. 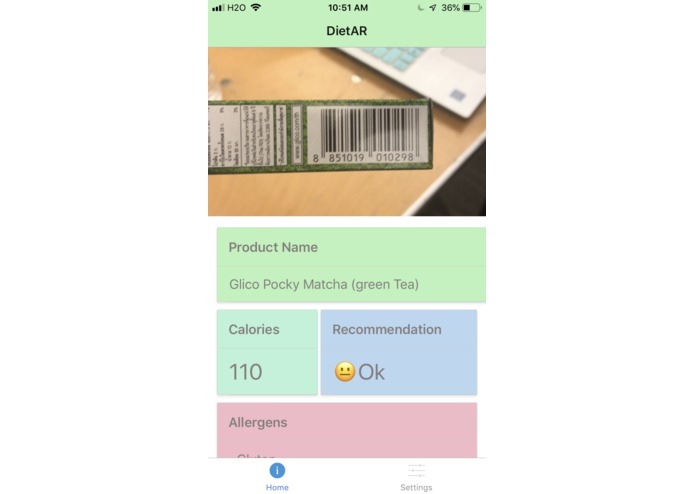 our final product- a working, streamlined, user-friendly app that displays allergen and nutritional information.